Rajshahi, 25 Dec, Abnews: Border Guard Bangladesh (BSF) personnel detained three members of India's Border Security Force (BSF) at Rajshahi border after they trespassed into Bangladesh through Hajir Bathan area on Monday morning. The detainees were identified as - Assistant Sub Inspector (ASI) Harnam Shingh, constables Rakesh Kumar and Santosh Kumar, hailed from Harudanga camp of Border Security Post (BSF) in India. 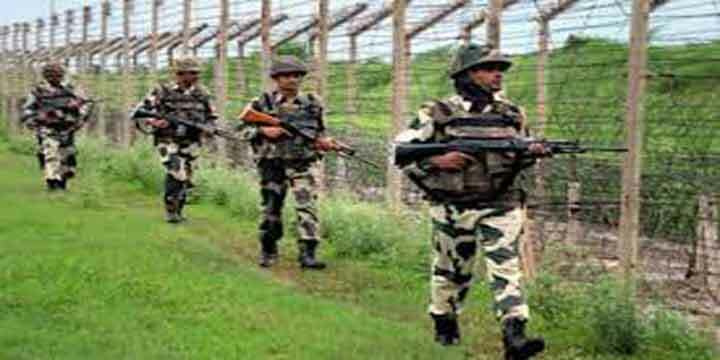 Shamim Uddin, commanding officer of BGB-1 battalion, said that three BSF members mistakenly entered the border around 7:30am due to thick fog and no demarcation line in the area. However, they would be handed over to the BSF after holding a flag meeting, he added. Meanwhile, fire arms, ammunition, hand bomb, light and signal sets were seized from the BSF members. They would be handed over to the BSF after holding a flag meeting.